I thought that this movie was enjoyable and one that many children could definitely relate to. I think that it is a movie that has some very good advice about being your own person. Some of this advice could be detrimental in that it sort of promotes this boy to snowboard and not do his homework like his dad wants him to do. But all in all this movie has pretty good issues behind it and I liked it except for some of the rediculous slang used by the kids. I thought that this was a very delightful and unique story. I really liked how they included many toys that children actually play with and even some that their parents may have played with. This helps parents relate to a movie that is made a little more for their children. I thought the story was good and the graphics were also good. 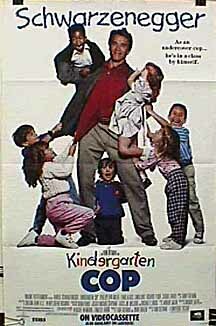 I think that many movies have imitated this sort of new wave children's movie since this one came out. I thought that this movie at first seems like it is not going to be a family kind of movie at all because Arnold is chasing a man down with a gun. But what you come to find is that this is a sweet movie about a cop who is working undercover and falls in love with the people that he is trying to protect. This is not a very original idea but the movie isn't a complete failure. Arnold is the perfect man to play this role and it shows the lighter side of him that has been since used much more often. This is probably my favorite of any of the muppet movies. I think that the diversity of the characters in the muppets makes them such a success. What better place for this group of animals to go the the fast pace New York life. They go to try to do a broadway show and the adventure goes many places from there as all of the muppets get to New York and all have their own sort of adventures and personality changes. A really fun musical type muppet comedy that all kids can love. This is one of the Disney Classics and one that is not really one of my favorites. The Dwarfs sort of make the movie OK but Snow White is a pretty boring character that I don't think that kids can relate to very much. I think that the witch can be sort of scary to little kids and the witch brings Walt Disney's magic into this movie. But what much can you criticize about a classic. People must like it for something because it has been watched by children for years and years. This is a great story for children because it is about a cheerful nanny who brings such love and joy to a family with her cheerful songs and her loving spirit. This movie is good because it shows kids not to hate having a babysitter and that sometimes they can be better than even their own parents. Of course Walt Disney adds his magical twist of having Mary Poppins come flying in from her umbrella from up in the sky. I thought that this movie was very good. I thought that it would be a little too geared towards younger kids going into the movie. I thought that it was the kind of movie that a parent would not be totally bored with as they were watching it with their kids. It is a little funny and in some ways almost has a sort of a Willy Wonka and the Chocolate Factory feel to it. It is sort of a fantasy but the kind of fantasy that most young kids would believe but not at all be scared by. This movie is a good time and should be seen by almost any kid. The story of a young kids hockey team that is almost terrible. Emilio Estevez coaches this bad news bears comedy. The Mighty Ducks play the typical worst to first story. 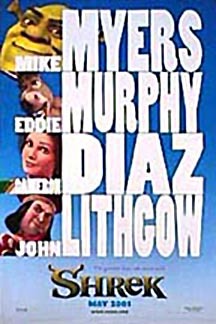 The comedy in this movie made it very popular for kids and maybe even young teens. It is a story of friendship and how to succeed. This movie led to the naming of a NHL Hockey Team. thieves are back at it again and they have to face a new set of booby traps. painful then the traps in the original. the time of Samurai in Southeast Asia. the Menace. Dennis and his neighbor Mr. Wilson add all the comedy. Mr.
Wilson is always getting irritated by Dennis and when Dennis ruins Mr.
by the whole family. The movie fits the TV show. I thought this movie was a breakthrough for animation and for movies in general. The scenes bring together humans and animation like never before. The story is a crime drama but mixes in some of your favorite cartoon characters like Mickey Mouse and Bugs Bunny. I thought that this was a little but funny and a movie for kids that is almost on the adult level. I think that this sort of movie is fun for just about everyone who watches it. I thought that this was a good movie to promote family and not love of money. Although the plot was pretty thin and the story completely transparent it does it's purpose. Nothing special about this movie especially with the two big name actors like Goldie Hawn and Kurt Russell. Not really that funny either which is usually the upside to a family oriented movie. You can definitely tell it is a movie with it's sappy ending and simple story. I think that this movie was sort of stupid but could be enjoyable to youngsters, especially girls. I think that it is a good performance for Shelley Long and sort of a love story in a way but is just missing a little more of the love or a little more of the comedy. But anyway I don't see anything really wrong with the movie except that I don't understand why all of the people don't just hide in the woods and then go to the finish line. This is a very witty tale about King Arthur that can not only educate children but entertain them as well. I think this is probably one of my all time favorite Disney movies. I think that it is funny and something that most children will find funny and not offensive in any way. The owl is funny along with some of the goofy Disney characters that Walt Disney has creative thought up to help give effect to the tale. A movie I think all children should see. I thought this movie was okay but not a real original idea. I thought that it had a great set of actors and people whose careers have really blossomed since the making of this movie. I think this shows Bruce Willis as someone who can act in something other than an action movie. The idea for this movie is very similar to the idea of the Family Jewels starring Jerry Lewis except that one may have been a little funnier. But still this movie has a good message about how your parents even though they have flaws they are still yours. This is a great tale for children especially for young boys. I think that Robin Hood is fun and adventurous. Even though he promotes stealing the fact that he is stealing for an evil man to help those that are needy make it okay. This movie is not as romantic and the non-animated version and thus is more enjoyable to toddlers who live out their dreams of being heros in a film like this. This is probably one of the greatest kids movies of all time. It may be a little bit psychadelic but the kids would never notice. I think this is a great story about how to be a good kid and these lessons are all taught by Willy Wonka and his Umpas as they take a group of kids and their parents through his Chocolate Factory. This movie is fun and funny at times and has some fun songs for the kids to sing. Although it is a little old all kids still love candy. all the same characters as the original which is a good touch for a sequel. it is only to save his son.